For parents of young children, swimming pool baby fences are highly recommended. Children are young and curious, and the outdoor world is new and exciting to them. They also lack the experience and knowledge that brings about a sense of fear and respect for the dangers swimming pools can pose. It is difficult to keep your eyes on your children 24 hours a day. This is especially true in the perceived safety of your own home and property, where children are most likely to wander off and explore on their own. Properly installed, child-protective fences bring peace of mind to any parent of young children. They are available in a variety of sizes, styles, colors, and materials, so there is certainly a selection suitable to your functional and aesthetic needs. 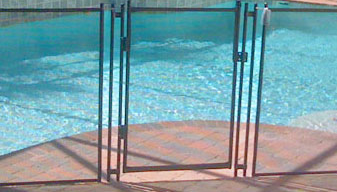 Pool safety covers can provide the same sort of protection, depending on the layout of your pool and the type of cover. All Loop-Loc® brand products designated as safety covers are UL tested and approved, meeting and exceeding safety standards. These types of covers are typically seasonal, meaning an experienced technician would normally be the one to cover and uncover the pool as needed. 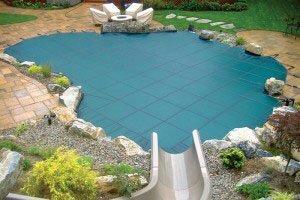 While many pool covers are intended for child safety, their main purpose is to prevent an influx of leaves during heavy fall and spring seasons. Whether you are interested in protecting your children from entering the pool when you are not around or want some means of keeping debris out of your pool, our experts can help you determine which product and installation method is right for you. Select Pool Services personnel have helped maintain safety for Dallas, TX, swimming pool owners for almost 40 years. Contact us today with questions or to set up a consultation; our experts can help you find pool fences and covers to serve your needs.